Welcome to WescoPerformance.com. Here at Wesco, we believe that this is a fun business and we really enjoy supplying our customers with quality off-road and racing gear as well as replacement seat belts and more at a great price. Wesco Performance is a family business. And we consider our customers as part of the family. As with all strong families, our priorities are safety and communication. 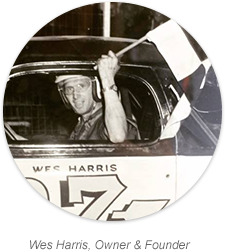 Our founder, Wes Harris, has over 60 years of behind the wheel experience. Since Wes’ retirement, the business is now owned by one of his daughters, Dawn. Dawn has worked with Wes since 2002 helping to build the online presence. Dawn also has a passion for all things automobiles. From stock car to off road vehicle to station wagon, Wes knows firsthand the importance of reliable, first class safety equipment. Our goal is provide the best product for your needs at a cost that is affordable. 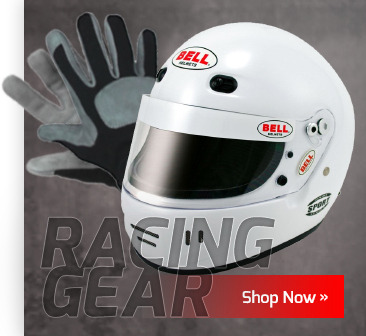 The safety gear and apparel we provide racers is top of the industry proven. We wouldn't have it any other way. When our customers communicate with Wesco Performance, there is no out-sourcing or automated answers for customer service. We take pride in speaking directly with our customers as we have for over 25 years. Our experienced staff works hard to answer any and all questions or concerns with orders. And, remember, there's always time to share a race story, or two. Again, communication and safety are the cornerstones of Wesco Performance. We look forward to welcoming you to the Wesco Performance family. At Wesco, our definition of great service is a friendly person answering your phone call. We are old fashion and answer our phones when they ring and respond to your questions right away. We are a second generation family run business and we know what you need. We feel that someone that can answer your questions in a clear and knowledgeable way is the best customer service. We strive for more than great customer service; we strive to be the best in the business. Here at Wesco, we pride ourselves in being involved in every step of your order, from start to finish. From when your order is placed, to when it ships, we are involved. We like to have a hands-on approach to all aspects of this business. You can choose your shipping method when placing your order. We ship products across the country and across the world. Some of our items are custom made and take a few days to ship. We make getting your order shipped as quickly as possible our priority. Wesco is in the safety business. We have high standards for our products and ship the best quality items. This insures your safety and our peace of mind. It’s our company mission to keep you and your loved ones safe. Our racing gear is SFI and/or FIA certified and tagged. Our auto seat belts are made in the USA with domestic and foreign components and meet or exceed the U.S. National Highway Traffic Safety Administration’s Federal Motor Vehicle #209 & #302 Safety Standards, tagged and have all passed safety/quality testing. Our products will meet or exceed your expectations for quality!